how do I checkmate with 3 Knights? I know 2 is a draw, but 3 is not. Here's an example of how to do it, plus some general guidance. I can't find a single game in my 7 MM games database where it was managed, though a couple of players have tried it and come pretty close. The key difficulty (beyond knowing what to do) is managing the timing; knights can't lose a move, so you can end up being ready to mate in a good position, but having one move too many (or being a move short). 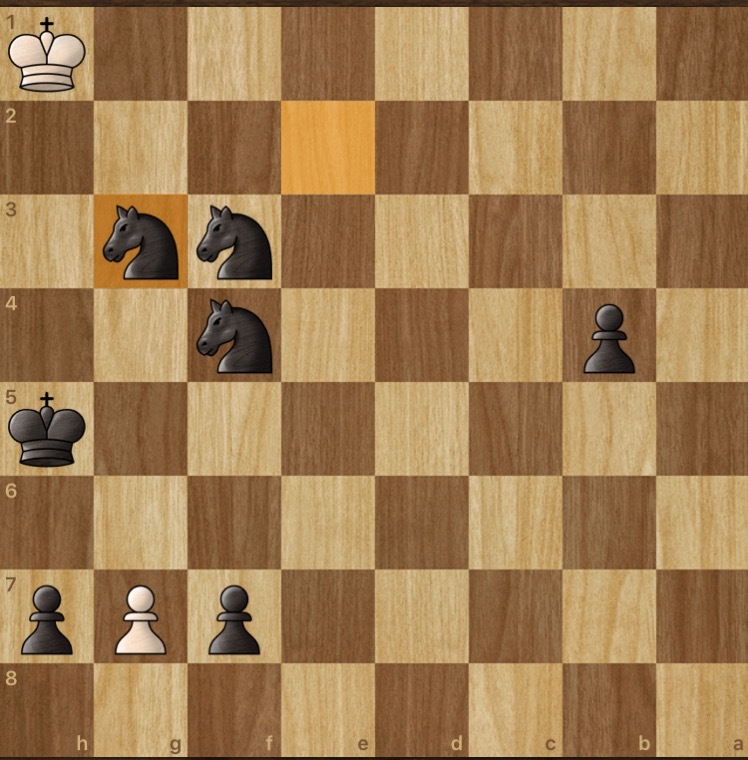 I pulled this mate off once in a tournament game. My opponent is known for forcing his opponents to play out to mate, so I thought it might make the process a more interesting challenge. I promoted two pawns to knights to make a team of 3, and deliberately dropped a bishop in a check that forced capture. I solved the timing problem by keeping a spare rook away from the mating area, and when I found myself needing to lose a move with the king already netted, just shifted the rook. Then I was able to finish the mate. There are two main types of mating pattern, the side mate and the corner mate. There are a couple of types of corner mate, but once you get close, you'll probably see the one that's eligible in your situation. Here's a theoretical position I cooked up, to present the most challenging problem I could imagine. I used this as a training position. It's entirely possible, although you have to be either dominating already in which case your opponent might resign, or you surprise him with a promoted mating knight where he was counting on you choosing queen. Not the answer you're looking for? Browse other questions tagged endgame checkmate knights or ask your own question.